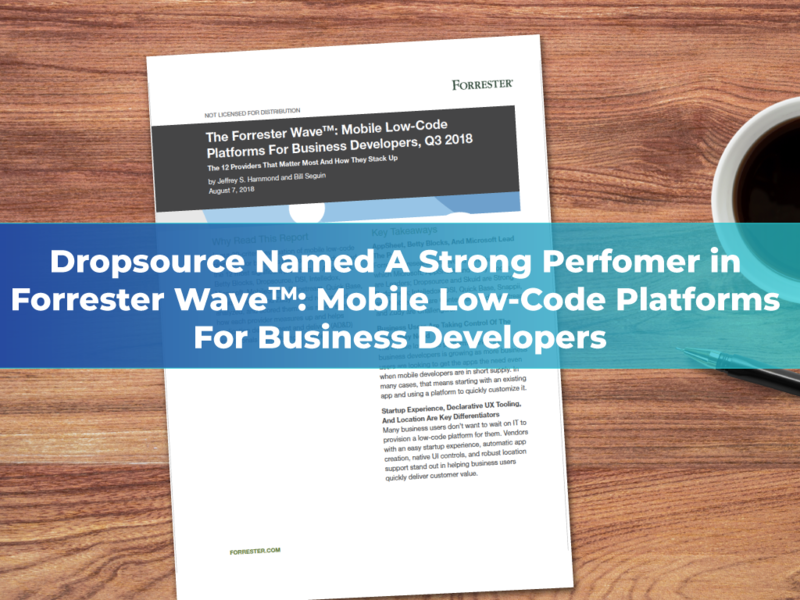 We are excited to announce Dropsource was named a Strong Performer by Forrester Research, Inc. in the independent analyst firm’s “The Forrester Wave™: Mobile Low-Code Platforms For Business Developers, Q3 2018” report. This marks our first inclusion in the report. 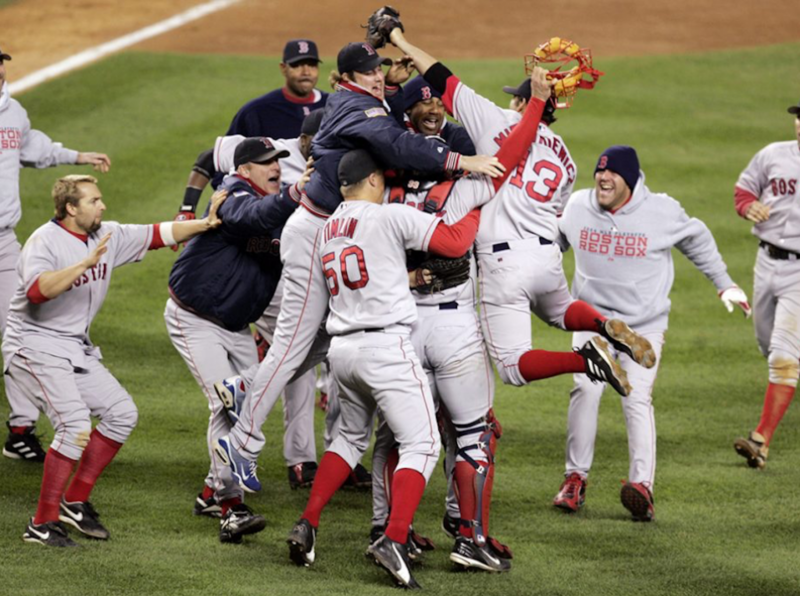 Dropsource was among a select group of companies thoroughly evaluated on 30 detailed criteria. In the report, Forrester noted Dropsource’s “ability to create robust native mobile applications sets it apart from other vendors in this evaluation that take a cross platform development approach.” We believe this assessment validates our mission to equip enterprises with a solution for visually developing and deploying native mobile apps without resorting to expensive and time-consuming outsourced development. It also solves the problem of the disparity between the high demand for mobile experiences and short supply of mobile development talent, driving a gap in enterprise app delivery. With mobile increasingly central to digital transformation, the stakes are high for businesses. The demand from enterprises to solve business problems and drive innovation by leveraging the benefits of visual, low-code mobile app development is growing. 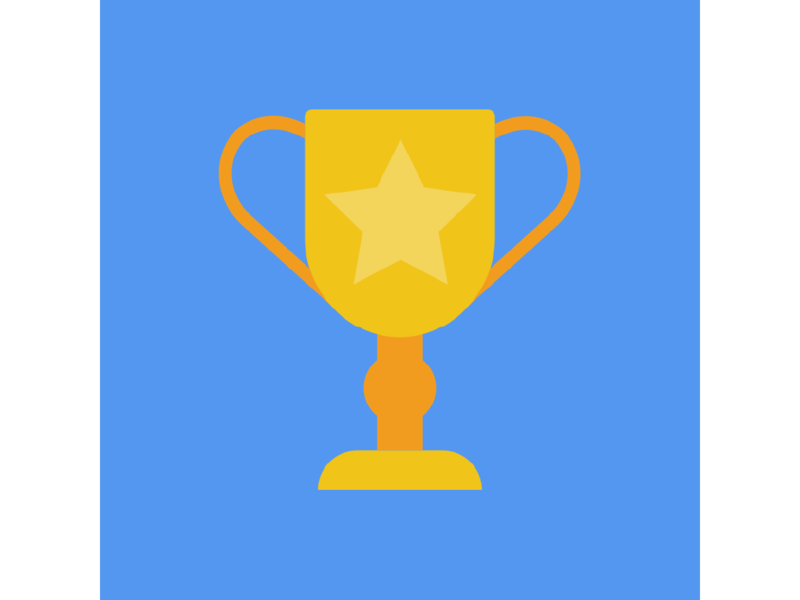 Our placement as a Strong Performer in this year’s Wave underscores our dedication to eliminating the complexity traditionally faced when building a truly native app, while ensuring the sophisticated experience and performance users have come to expect. Per the report, “Dropsource users love the drag-and-drop controls in a real-time, WYSIWYG editor that allows them to make pixel perfect apps tailored for any device. 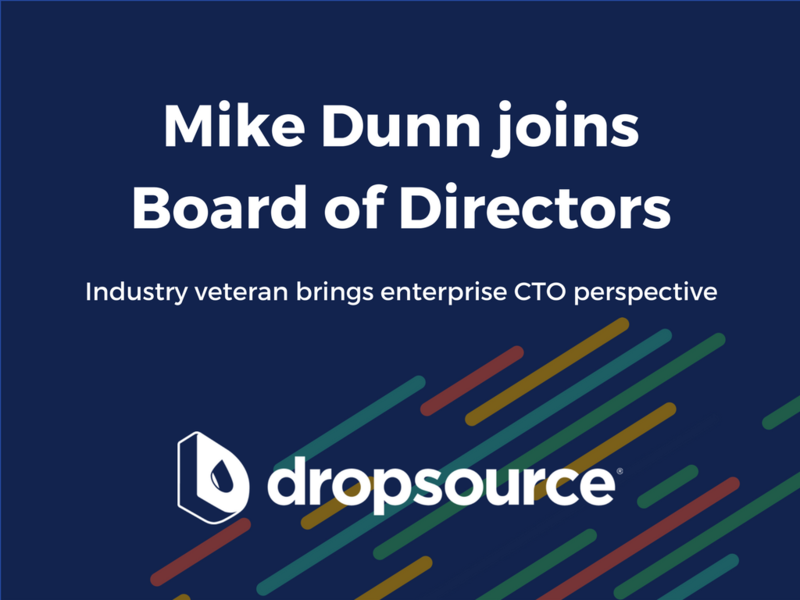 Additionally, Dropsource does not have a runtime, which allows customers to download the code and the platform to roll in new features, like iPhone’s Face ID, the day they become available.” We received the highest possible score in the criteria of collaboration and mobile client support, analytics, and app store support and asset sharing. Download your complimentary copy of the report by clicking here. Ben is CEO of Dropsource and a 20+ year high-tech veteran and entrepreneur from Boston, with entrepreneurial and senior executive experience from startups to large multinationals and several successful exits under his belt.